Developing the range of beer packaging for Black Storm‘s seasonal beers has provided a great opportunity to develop not only an overall approach for the range but also explore the individual can design for each edition. Tropical Storm is the latest of this year’s editions and will be followed by both Fire Storm and Thunder Storm in the coming weeks. 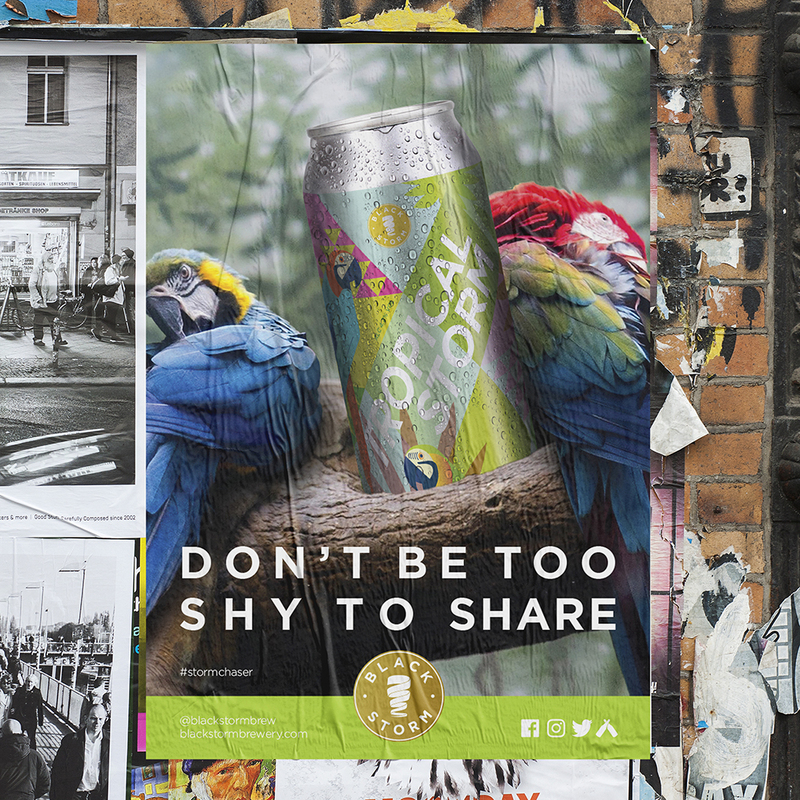 Alongside the packaging we’ve developed launch material for each new can to promote the limited edition cans.